No. 15 Devonshire Promenade in New Lenton had been Kathleen Hoe's home for some seventy years when she died in a Nottingham hospital in February 1973. Her parents rented No.22 Devonshire Promenade in 1898 but within three years had moved into No.15 at the other end of the row of terraced houses. 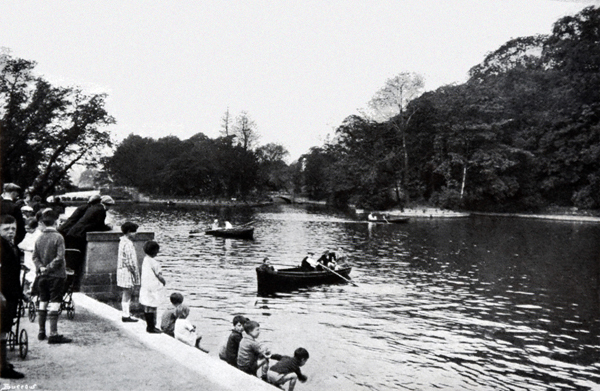 Kathleen was an only child and after her parents died in the early 1930s she continued to live in Lenton for the rest of her life. While Miss Hoe's will specified where certain more treasured possessions should go, the rest of her household effects were taken away by a second hand dealer. Back at his base the dealer began to realise what a hoarder she had been. There were pages of sheet music for popular songs of the day, both studio and personal photographs of people from the world of entertainment, newspaper cuttings, theatre programmes and playbills, and more personal documents which included a huge assemblage of correspondence both to and from Kathleen Hoe. These items, all packed into two large storage boxes, eventually came into the possession of Johnny Hobbs, a talented local jazz musician, record collector and enthusiast for all manner of ephemera, who used to have a shop on Arkwright Street. He held on to them, although he permitted interested individuals access, and they were still in Mr Hobbs' possession when he died. In the past the Society has received the odd request for information about Dakin Bros. whose various entries in the inter-war directories for Nottingham usually read as follows: Dakin Bros., mineral water manufacturers, 34 Trinity Avenue. 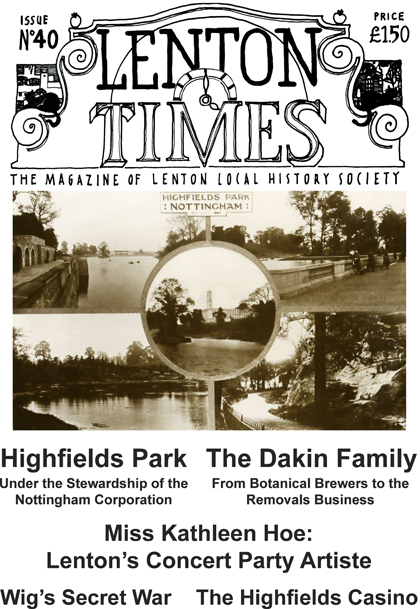 The query arose because the person had acquired a glass bottle or earthenware container with the Dakin Bros. name on it and the Lenton address subsequently came up when they checked in the local directories. Our article reveals what has come to light about the Dakin family, the various branches of the business operating in Beeston, Ilkeston and Nottingham, and also their expansion into the removals business while in Lenton. Our article concludes with a short piece written for us by David Watts who worked for Gordon Dakin's removal's firm in the 1950s and 1960s. Until Sir Jesse Boot (now Lord Trent) died in 1931 Highfields Park was maintained by a private company set up by Jesse Boot. His son John Boot (now the 2nd Lord Trent) subsequently met with various individuals from Nottingham Corporation to discuss what should now happen to the park. The arrangement that was agreed saw the Corporation take over the management of the park which had previously been placed in a charitable trust. Our article looks at how the park has fared in the years since the Corporation took it over. In early 1932 the Parks Committee learned that there had been little response to the adverts placed in local newspapers seeking someone to take over the Lakeside Pavilion. The Committee were therefore encouraged to hear in May 1932 that Eric Montague Wright, son of their fellow city councillor Tom Wright, was now interested in taking on the lease of the Tea Pavilion. 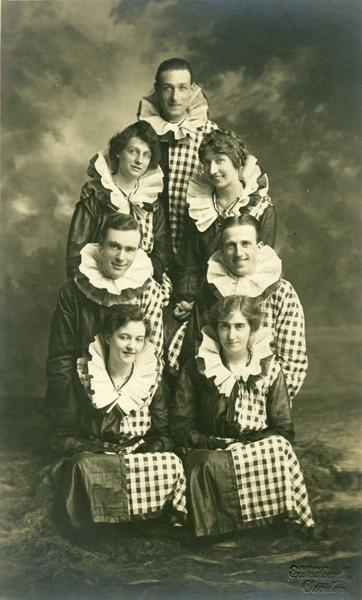 He wanted to set up a 'first-class Café Dansant' there with a well- known local dance band in residence. Mr Wright was duly given a twelve-month lease of the building on agreeing to pay the Corporation monthly instalments amounting to £225. His new venue was to be called the Casino. Today the name might conjure up gaming tables with alcoholic drinks readily to hand but neither of these was on the agenda for Eric Wright. For the most part the only licences he acquired were for music and dancing. The Casino was destined to be a short-lived affair and our article explains why. Norma Thorpe (née Webster) was born and brought up at No.40 Park Road, New Lenton and she recalls life in Lenton before the Willoughby Street area was redeveloped in the 1960s. Her parents Frank Stafford Webster and Lillian Gladys Arnold had married in 1926 and already had three children before Norma came along in 1941. However when she was about six her parents separated and her father went to live in Beeston. After her time at Lenton Council Infants and Junior Schools Norma moved on to Cottesmore Girls School. Her secondary education was not a source of joy and Norma couldn't wait to leave. After a couple of short-term jobs that Norma didn't really relish her mother got her a job at Players which was much more to her liking. Her mother had now married Albert Robert Walker. Although Norma's side of Park Road was not included in the general demolition of the area it was clear that the whole neighbourhood was going to change. So the decision was taken to leave in the early 1960s and move to the Clifton estate. Albert R. Walker died there in 1971 and her father's new wife, Florence, died in 1974. After this Norma managed to engineer a meeting between her parents and a few months later ... well if you want to know how that worked out, check out Norma's article. 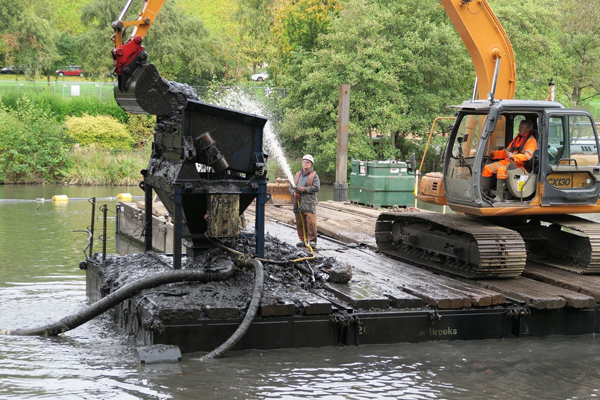 In January 2015 Nottingham City Council received the welcome news that the Heritage Lottery Fund and the Big Lottery Fund's Parks for People programme had jointly agreed to provide £3,200,000 for planned improvements to Highfields Park. With additional money from the City Council, the University of Nottingham and Nottingham Croquet Club a total of £4,800,000 would now be spent on this Grade II* listed park. As most readers will be aware the improvements are now all completed and the park is now looking in tip-top condition. Our article looks at what was involved in the project and the reasons for the slight delay in its completion. In Lenton Times No. 37 we featured an article about the Marshall family who came to live in Lenton in the late 1850s when Edward Marshall established a business as a 'joiner, smith and wheelwright' in premises next to the Three Wheatsheaves public house on Derby Road. Among those who found the article of interest was Angela Haigh (née Green), whose own antecedents had connections with the Marshall family. Angela has produce this short article which focuses on her great grandfather, John Green, and some of the 'Marshall' links that came to light. Gavin Wigginton never knew his father as he was born two months after Lieutenant Colonel Sydney Isaac Wigginton O.B.E., was killed in a plane crash in September 1945. Beyond the fact that their father was a war-hero, Gavin and his older brother Michael were told very little about his wartime exploits. Their mother Eunice Olive Wigginton never remarried and continued to live in Nottingham until the mid-1990s, when she left to live in Australia and be nearer Gavin who had moved out there ten years earlier. In 2002 Eunice received a diagnosis of bowel cancer. Fearful that she might not survive the operation Gavin 'interviewed' Eunice in order to learn all he could about her life and that of his father. Intrigued by what she told him, Gavin contacted the UK Ministry of Defence who sent the Wiggintons a copy of Sydney's military records (which didn't reveal all that much) along with information about when and where in Burma (Myanmar) the plane had crashed. The bowel cancer operation and subsequent treatment were initially successful and Eunice enjoyed five good years before the cancer made its return. There was more treatment but Eunice eventually died in Melbourne in May 2009 aged ninety two. Gavin inherited all his mother's personal possessions but it wasn't until late 2012 that he looked in an old tin box and discovered artefacts and papers belonging to his father. Now fascinated by what had come to light Gavin visited the National Archives at Kew in London while on a visit to the UK in 2013. 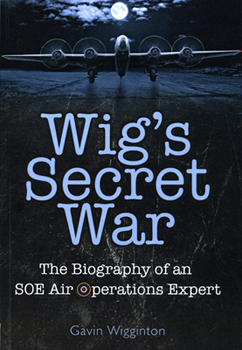 This led to much more research along with a visit to Myanmar and has culminated in Gavin Wigginton's book Wig's Secret War: The Biography of an SOE Air Operations Expert published by Bomber Command Books/Mention the War Publications in 2017. 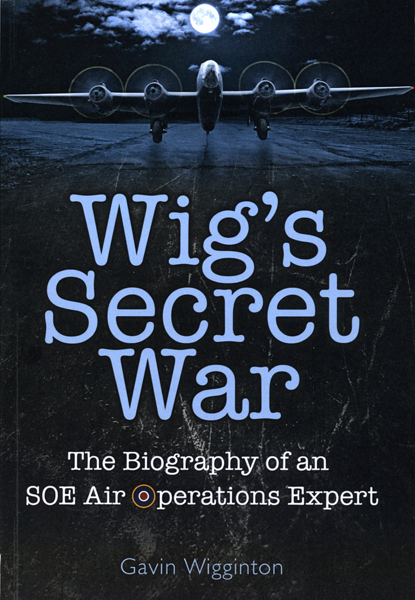 Our article draws on Gavin's book to offer readers a brief account of Sydney Wigginton and his wartime activities.